A light blue hue lit up the massive rock formations surrounding us. It formed a striking contrast with the copper-red earth of the Grand Canyon. 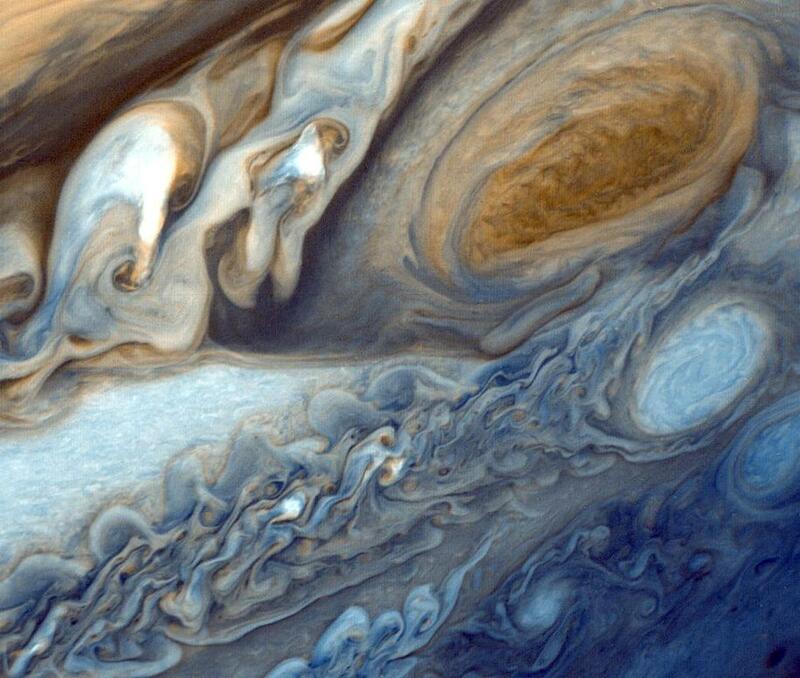 Layers upon layers of red and tan swirls stood out like the Great Red Spot of Jupiter. I stared into an abyss of the earth’s most hidden secrets, etched into the soil of ancient colossal rocks. It’s April and dry season. The soil looked parched, yet the red earth stood decorated in deep green flora. There’s so much life here! This is it! This is what I couldn’t wait to feel on our drive up here. Superlatives describe it as outstanding, breathtaking and astonishing. And they are all right. This is incredible! “The best colours show in l’heure bleue,” a young woman said as she buzzed around us. She frantically snapped photos of every angle, afraid she’ll miss something before nightfall. I came back to myself. “The colours are beautiful,” I said to my husband. “The blue hour really does make the Grand Canyon stand out”. I looked around baffled by the amazing sight, and couldn’t wait to experience it in broad daylight. The next morning, we arrived at the canyon early, just after sunrise. Our time there was short. My husband and I had joined our trip to the Gand Canyon with a business trip to Scottsdale, Arizona. We were left with only half a day to explore the South Rim before heading up to Page. But this time, a small wave of disappointment ran through me. The blue-hued sky, copper-red earth and subtle glow on the walls of the canyon were gone. I wanted so badly for the Grand Canyon to leave another dramatic impression on me, but it didn’t. I felt grander than the Grand Canyon itself, superficially judging it by its rim. Without the charm of the blue hour, the Grand Canyon’s beauty made it frustrating to look at from the top. It’s vastness made it seem hollow and without personality. Additionally, my experience felt all too familiar, like a film I’ve watched for the third time. How could I leave the Grand Canyon without a significant memory and powerful feeling to take home with me? I looked around, searching for something that would leave me speechless. And there it was; a trail leading to the bottom of the canyon. I felt a strong urge to follow it. Hikers of all kinds of backgrounds and ages slowly made their way down. I wondered; Was this urge the feeling that I was waiting for? The swirly clay-like earth was pulling me in, begging to be explored. I suddenly wanted to discover the secrets engraved on the inner walls of one of the world’s gargantuan miracles. I envied the colony of hikers that were going to experience the canyon from the inside. But for me, time was too short. I knew I had to come back one day to do what they were doing. I’d go back again on a day when the path down wasn’t clogged with so many hikers. Perhaps during slow season when I wouldn’t have to share my experience with everyone and their brother. As I close my eyes and take myself back to the Grand Canyon, I imagine being at the bottom looking up. I imagine being enclosed by the canyon’s high walls, feeling as insignificant as a single particle of sand in a vast desert. Looking up, I see copper-red swirls fading down into light-orange zebra stripes along a tan canvas. I realize now that the Grand Canyon’s rim is just its shell. A large and beautiful surface. But its pearls are deep within; hidden and not easily accessible. The Grand Canyon’s uniqueness lies on the inside. Only those brave enough to reach the bottom truly know this! Had we had more time and an overnight hiking permit, our experience would have been even more impressive. Regardless, I’m glad that I paid the Grand Canyon a visit, especially in “l’heure bleue” when its colours are most remarkable. All of my general expenses for this trip had been paid out of pocket. My entrance fee to the Grand Canyon’s South Rim was covered by Grand Canyon National Park. It really is Maria 🙂 Stunning!! I completely agree Genie! Photos really can’t depict what it actually looks like in that hour. I was in complete awe! Grand Canyon is such an amazing place! Would love to visit again! The trials of being a mother 🙂 Next time you’ll get to see more I hope! I hope I will too, because I’m planning on hiking and camping out next time! I have always wanted to go to the Grand Canyon! Looks amazing and your photos and story make me want to go even more :). Thank you so much for sharing! Thank you so much! I hope that you’ll get out there 🙂 You’re very welcome. I absolutely love it when there is a blue/grey shadow over the horizon! I took plenty of photos on a trip to the Grampians in Victoria, Australia, and I was looking for that effect… Great description of the Grand Canyon and the general feel of the hour! Hi MaryJane, I hope you get out there, it’s fabulous! Awesome pics – I love the holistic overview you gave of your experience. Also, doesn’t it look FAKE at first? Omg it felt I was looking at a painting! I really enjoy your writing and your description of the Grand Canyon.